Public life needs public spaces. Placemaking is a design tool that creates a sense of ownership in a public place by attracting and connecting people to a specific location. While space is defined as an area, a place is an attraction and a destination. Without public space there is no public life. Most cities are defined by their public spaces. Public spaces often grow to symbolize a community, a city or an entire society’s identity. A special unique character and identity is what differentiates one place from another. A place is a space with personality! Successful places attract us, engage us, allow us to socialize with friends and frame our memories. Successful places offer a range of things to do for all ages of people and derive their character from local history, local materials and local culture. How does a space become a place? 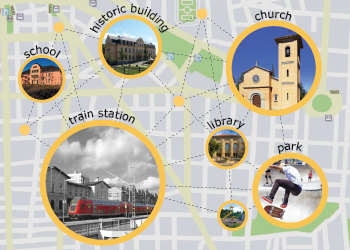 Placemaking is a community-building exercise envisioning new uses and ways to engage people. 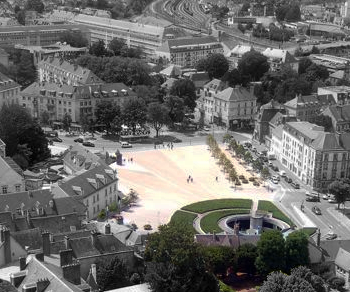 Placemaking could be the design of a park, a street, a plaza, or a playground. Placemaking attempts to create spaces that are safe, accessible, diverse and memorable. Successful Placemaking improves specific sites throughout communities and stimulates greater social interaction between people in a community. What is your favorite place? Zooming in, stop to consider where the ten most important places in your neighborhood that you visit. Are they lakes or rivers or mountains or valleys? Are they parks or schools or public buildings that give your city its character and image? Make a map of your neighborhood and mark ten destinations. Be sure to label your neighborhood and place a north arrow on your map! Visit and make small sketches of each of the ten spaces and place them on one or both sides of your map with light dotted lines to their numbers. Know your neighborhood! Next, think about your city. What are the best places to visit in your city. Though the places you list might differ from someone of a different age or country, think of the best, most loved places. Screen capture a map of your city and prioritize ten places. First think of ten places. Ask your family. Ask your friends. Make a list of the top ten destinations in your city with the first the most important on down the line. Place a number 1 on the place that most distinguishes your city and label what it is. Proceed to place all ten destinations and find photos of these destinations to complete a city destination poster! 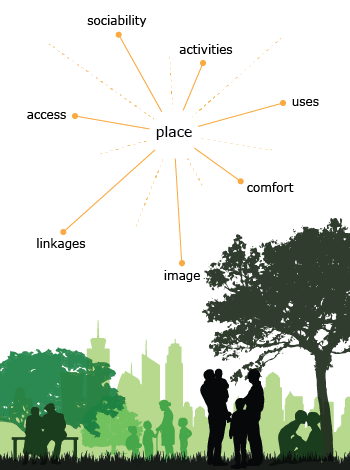 What makes a place important? More often than not, a place that we hear about is a place we must visit. These places are usually well known and well liked. Every state has key destinations to visit. Research your state and identify the ten most visited places. Outline a map of your state with the key cities and rivers and lakes located and labeled. Be sure to include a title and scale and north arrow. NEXT locate the ten most important places 1 through 10 on your map. Post a photo or sketch of each one in the map key. Know what to see in your state!!! Think of, visit and document two places in the city you live in. 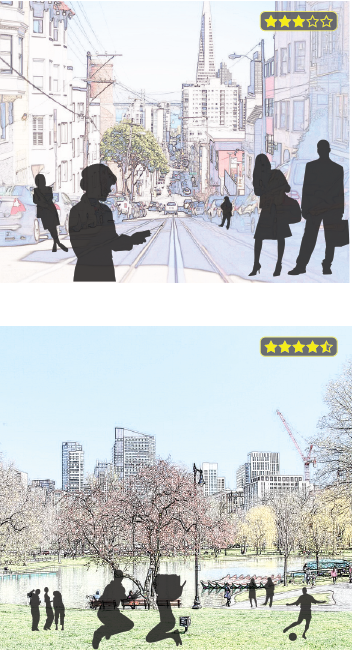 Draw the plan in your journal and take a panoramic photograph or make a sketch of your public place. Note all of the elements that are present like trees, gardens, lights, artwork, etc. Don’t forget the people! Next create a chart of at least ten activities to evaluate. Start with the following list and add your own qualifiers. Grade the places on a scale of 1 to 10 with 10 being outstanding and 1 being terrible. Rate your places according to their success in providing an identity within your community and ability to provide a place for your community to meet. Create a poster and a write a paragraph about your most favorite and least favorite public place. What could you propose to improve your public places? Make a list! One common public place is the school playground. What happens here? What are the active and passive functions? Who uses the playground? What happens when school is not in session? Who uses it then? What is the character of the playground? Create a survey for teachers, students and neighbors of the playground. Develop a few questions and ask them what they like and do not like about the existing playground place. Make a list of possible new uses that could be introduced to the playground such as game tables (like chess or domino tables), ping pong tables, a music pavilion, ice skating rink, map area, water fountain, garden area, or simple areas for grass and trees. Hand out and then collect your surveys to discover the most common requests to improve your playground. Be sure to include your teachers and your principal in your survey. Take a walk around your community. Are there any unused lots, corners or triangles that would serve well as a new public place? What is missing as a place to gather in your community? Find a place that has partial enclosures: street, buildings, and landscape. These locations are great for placemaking because they are already partially defined. Locate and create an entry point. Consider areas of sun, shade, wind and water. Include places to look, sit, and places to interact; remember to consider space needed for circulation to move into, around and through the new place. Use pattern and landscape to differentiate areas. Prepare some ideas using drawings and a photo collage. Name and label your ideas for your public place. 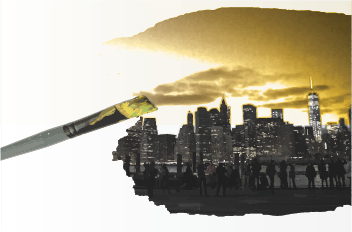 Activity 7 – Join the Placemaking Movement! As people in cities all over the world engage with making new kinds of places, you can, too. Join the Placemaking Movement! Explore the many types of places in other cities around the world in a site organized by Project for Public Spaces. Their goal is to enable the global networking of placemaking ideas and share discussions about making public spaces in your community. b. enhances collaboration within a community. a. the number of community members needed in order to start a project. b. the number of things to do in a space. c. the amount of money a space should generate. d. the amount of money needed to build a place. 3. Which is not necessarily a key quality of a successful place? 4. A place is always a space but a space is not always a place. 5. Place and space mean the same thing.